Ben is Vice President of Strategy & Planning, Asia Pacific for Brambles Ltd. Brambles is a global container pooling and logistics company with the operating brands of CHEP (the blue pallets you see everywhere), IFCO (crates that carry fruit & veges from farmer to store) and a variety of other re-usable containers in Automotive manufacturing, Aerospace, Oil & Gas and Industrial/FMCG manufacturing. Prior to Brambles he was a Senior Manager in the Qantas corporate strategy team, and worked as the GM of Strategy and Supply Chain in a private equity owned print & logistics company. His management consulting experience was with AT Kearney in Australia and Asia. He was also trained and worked in the law, but he now describes himself as a 'recovering' lawyer. 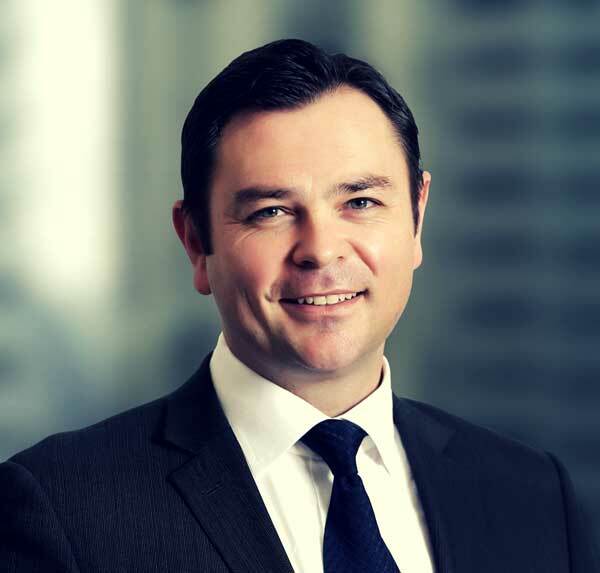 Ben Heraghty, Vice President of Strategy & Planning, Asia Pacific for Brambles Ltd. The global nature of the role is both the best and the worst thing. The global scope provides you with lots of opportunities and great experience on strategic planning, M&A and projects. Even though it is ASX Top 20, Brambles is unusual in that less than 10% of revenue is in ANZ, and ~60% is in the US and UK, so the job involves a lot of travel. Luckily a large portion of my work is in Asia, so the flying there is more manageable, but there is also a fair bit of work in the northern hemisphere, which is tough when you have two young kids. I also like the Brambles culture – it’s very down to earth and the vast majority of people are just good people. I’m also lucky to have excellent corporate strategy peers in EMEA and The Americas. Transformation work can be really grinding, which is why it so often fails. I was at Qantas during some of the tougher years (including the grounding of the fleet) and some of the transformation work was very challenging. But as demonstrated now, it was absolutely necessary to get the company to a better place for everyone – customers, employees and shareholders. I’ve had some great mentors over the years at AT Kearney, GEON Group, Qantas and now Brambles. They know who they are. They’re invaluable to steer you in the right direction and act as a sounding board to clarify what you generally know is the right thing to do, but sometimes need a little shove in the right direction. “Most people come to work with good intentions.” I try to remind myself of this tendency towards empathy when there is conflict or disagreement. It helps me try to see the other point of view and dig deeper into what is going on. I never get it right 100% of the time (and often forget), but at least it helps me get to a better understanding of where people are coming from. Note the use of “most people”, not “all people”! I also received some very practical advice early in my consulting career about communication. I think it might have been a friend at BCG who said “don’t make your audience work hard to understand your slide. The message should be immediately obvious.” This is something I drill into my teams, especially internal strategy teams. Simplicity and crispness takes more work, not less. I always wanted to be a politician. However, at this time I have to say “no comment”. Please speak to my press secretary. If I’m reading books, it’s generally to my kids. With my eldest I’ve graduated to Roald Dahl, and with my youngest we’re investing heavily in ‘Cars and Trucks and Things That Go’. To demonstrate that I do indeed have a vaguely cultural side, I have had ‘Love In The Time Of Cholera’ sitting on my bedside table for months now. Hopefully, I’ll get to it this Christmas. I wouldn’t say that I have a hero/heroine. But there are certainly qualities I admire in some people. Top of mind at the moment are the perseverance of Aung San Suu Kyi, the poise of Barack Obama, and the courage of Michelle Payne (first female jockey to win the Melbourne Cup).